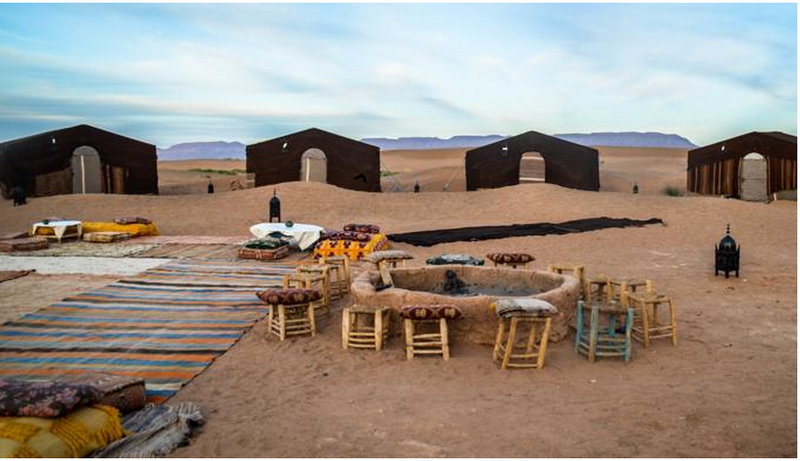 There is nothing more authentic than making a trip from Marrakech to the nearest desert, the Zagora Desert, which is located at about 350 km. This is the perfect option for a short time trip (the excursion is a 2 days and one night trip). It is totally recommended for people who don't want to miss the experience of sleeping in an authentic Haima (tent) Berber with more confort than you would expect in a desert, ride a camel and enjoy the unforgettable event: the sunrise in the desert. The tour covers the High Atlas Mountains, Ait Benhadou (world Unesco heritage), Agdez and the beautiful Draa River Valley. It is a flexible tour and it will make stops to enjoy the different landscapes of the areas, and you'll be able to take photos along the way. Book now and pay later! !